What is Sedona? A Complete Open Platform? Open Systems – Is an Open Protocol Enough? Andy Davis, Siemens Building Technologies. Frank Miraglia, FMS2K Associates, Inc.
HVAC vs. Lighting: open language? Please join our Group on Linkedin and interact with our magazine in real time with over 730 others. Share your thoughts with our authors and other global readers . 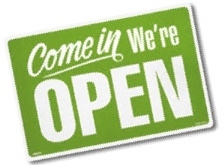 Are we “Open” for Business?